Weight loss surgery involves a big life change in not only what you eat, but how you eat. Adequately preparing yourself before surgery will not only help you be more successful after surgery but will also help minimize complications. I like my patients to think about how they will have to eat after surgery and begin to mimic this prior to their surgery. Making small changing while you are going through the surgical process will allow you to adjust to the changes before you are forced to. After bariatric surgery, you want to consume calories from food, not liquids. Liquids will not give you the same level of satiety as food, so it will be very easy to consume normal amounts of liquids even after your surgery. The calories from liquids can add up and lead to poor weight loss or worse weight gain. Many people prior to surgery eat only 1-2 meals per day. They make up the missed meal usually with snacks or larger portions at the meals they do consume. It’s important after surgery to at least have 3 meals per day to help decrease snacking but only meet protein needs. 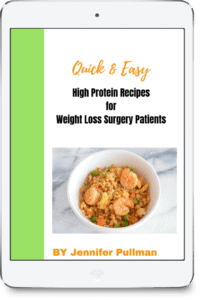 Portion sizes are so small, especially in early stages following bariatric surgery that there is no way a patient can get close to meeting protein needs with food if only eating 1-2 meals per day. It’s really difficult for anyone to eating healthy without a plan. When you don’t have healthy foods readily available its too easy to just grab anything, which is never a good choice. Planning meals for the week and making sure you have healthy ingredients handy will decrease the need for you to eat out or to eat unhealthy convenience foods. Most restaurant food just isn’t healthy. Sure you can find some restaurants that serve healthy choices, but they are limited. Plus, how likely are you to make a healthy choice when you have a huge menu to pick from? A healthy salad at a restaurant could have an entire day’s worth of calories, fat, and sodium. When you prepare your own meals you have control and make healthier choices and modifications. Eating mindfully means paying attention to your internal hunger cues. Eating when you are hungry not because it’s time to eat. Slowing down and paying attention to your level of fullness. Mindful eating also involves ending your meal when you are full not when your plate is clear. Snacking often contributes to weight gain. Monitor your hunger cues. If you are truly hungry then a snack is appropriate, but plan your snacks as you would your meals. Grabbing snack/junk foods will offer little nutritional value and prevent you from reaching your weight loss goals. 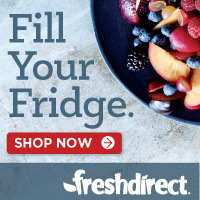 Fruit and vegetables are low in calories and rich in fiber. These foods not only will give your body essential nutrients, but they will help fill you up. Basically, you can eat more food for fewer calories! Try to add at least one fruit or vegetable to each meal or snack with a goal of at least 5 total servings per day. Protein can be a source of what we call invisible fat, meaning that you don’t see the fat. If you don’t see fat you may not know its there and can easily consume too many calories if you are consuming higher fat proteins. Lean proteins are low in fat. These include fish, chicken turkey, and lean beef. If you choose to have a gastric bypass you will need to get most sugar-containing foods and beverages out of your diet. You may be able to consume sugar if you choose other types of weight loss surgery, but you should still limit these foods to prevent dumping syndrome. The higher the sugar content of food the higher the calories. Yes, fruit contains sugar. This is not the food to cut out. What should you decrease? Food high in sugar that you don’t need to consume include candy, cookies, cakes, pastry, soda, juices, and other sugar-sweetened beverages. Rice, pasta, and bread are not bad for you. Most people consume servings of these foods that are just too big. Remember too much of anything will increase your calories and lead to weight gain. Prior to surgery, you should get used to smaller portions. After surgery, you may not be able to consume these foods simply because of the of their consistency. These three foods are doughy. You basically swallow a ball of dough. Imagine a ball of dough sitting in your pouch or in the case of a sleeve trying to go down a tube. You won’t feel well at all. After weight loss surgery you have a small stomach that can only hold so much at one. If you eat or drink fast you will likely put too much into your stomach. What happens when you over-fill your stomach? Well, I can tell you that you likely won’t feel well. You may be nauseous, have pain, or see your food or drink again (if you know what I mean). Drinking water or other beverages before you eat was likely a technique you may have used in your dieting life. Liquids fill you up so you won’t be able to eat as much food. After surgery, this is a problem. Your portion sizes will be really small and you want to be able to eat the little bit of food you are permitted. Drinking before you eat or during your meal may cause you to not meet your protein and nutrient needs for the day. Drinking immediately after eating a meal may lead to nausea and/or vomiting because you will over-fill your stomach. Remember your stomach needs to empty. Liquids will empty quicker than food. A good rule of thumb is to stop drinking 30 minutes before meals and not drink for 30 minutes after your meal. 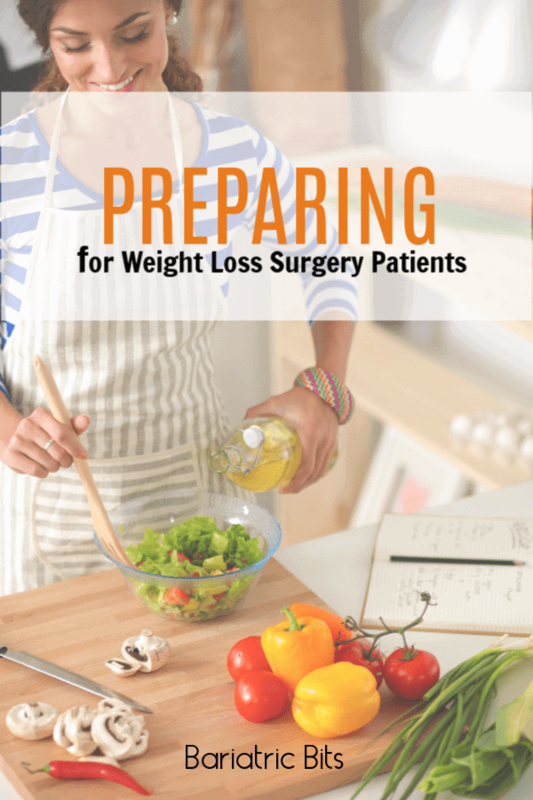 Preparing for like after weight loss surgery will help you be successful after surgery. Patients who struggle after surgery or have complications often are in this situation because they didn’t adequately change their habits.